SPACIOUS LIVING MUST SEE TO APPRECIATE. 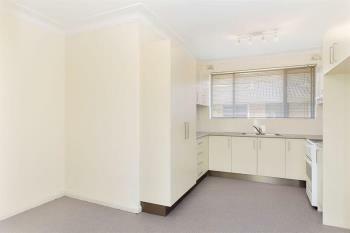 This huge 3 bedroom unit is only a short walk to cafes, shops and transport. you will be pleasantly surprised with the size of this unit, ideal for a growing family with local schools and parks within close proximity. Boasts 3 large bedrooms with built-in robes, eat-in kitchen, polished floor boards, double lounge room, laundry/storeroom and lock up garage. Excellent condition with ample natural light fitlitering through the unit, the large living space is rarely found in a unit, must be inspected to be appreciated.